Come hang out with our friend and Grainfather National Sales Rep, Jason Stewart. We’ll have a special collab brew that Head Brewer Jacob and Jason created just for the event. This is more of a social get together than a demo. Jason will of course be handy to answer any questions. Would you say you have a plethora of love? Do you even know what a plethora is? 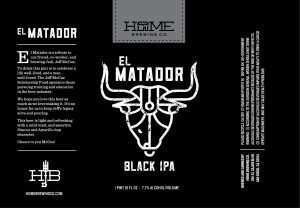 Would you like to drink a delicious beer and not even bother debating whether it is a Black IPA or a Robust Porter? Would you like to eat some candies named after some book, and watch a spoof that takes its name after the same? This is a beer and a day dedicated to our friend Jeff McCue. He left a whole lotta love and good vibes behind for us. And he also left his homebrew recipe book. We pulled this recipe, his wife Betsy’s favorite, and brewed it to celebrate Jeff. Join us on Friday, 2/23/18 all day as we celebrate the one and only Jeff McCue. An intro to homebrewing that will get you started making your own great beer. National Learn to Homebrew Day! Brew Demo and Beer!! Join us this Saturday for an ultra-exciting LIVE and in-person brewing demo! Watch the process and learn some new tips. We will have beer specials all day. Bring your friends! New to homebrewing? Come see what this hobby is all about.